“And now it came to pass that . . . I, Nephi, had read these things which were engraven upon the plates of brass” (1 Nephi 22:1). Nephi concludes his first book with a discourse on the scattering and gathering of the House of Israel. Buttressing his theological arguments, Nephi quotes “liberally from the prophets he had just cited” in the preceding chapters of 1 Nephi, specifically Isaiah and Zenos. [i] But rather than the type of extensive quotations that would appear later throughout 2 Nephi, 1 Nephi 22 employs sophisticated quotations and allusions to these two prophets. Since Nephi was clearly literate and was most likely trained in a scribal school where such techniques were taught,[iv] we should not at all be surprised to find such brilliance in his record. 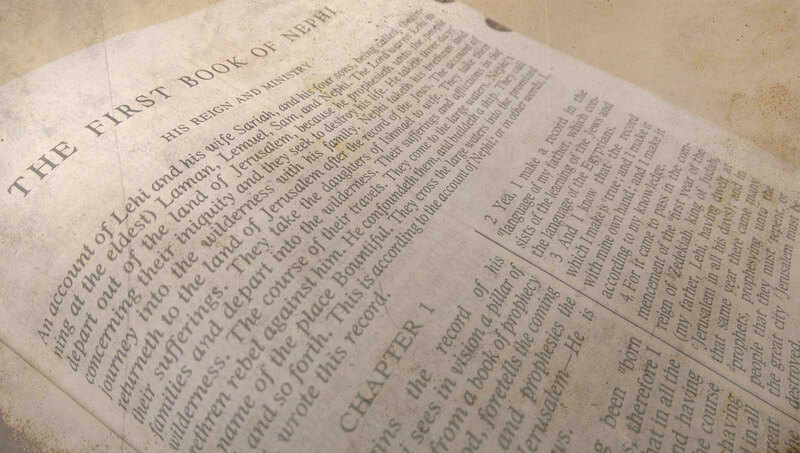 Readers of the text can therefore better appreciate the literary skill and grace that went into the production of the Book of Mormon. [i] Grant Hardy, The Book of Mormon: A Reader’s Edition (Urbana: University of Illinois Press, 2003), 57. [ii] Hardy, The Book of Mormon, 57–60. [iii] Grant Hardy, Understanding the Book of Mormon: A Reader’s Guide (New York: Oxford University Press, 2010), 65. [iv] See Brant A. Gardner, “Nephi as Scribe,” Mormon Studies Review 23, no. 1 (2011): 45–55.